The hybrid car is still a teenager in the automotive world. As such, don’t expect them to come cheap. Nothing in its teenage years ever comes with the words economy or cost-effective stamped on it, and many of the hybrids available today will take years of driving to recoup the additional cost in fuel savings. However, there is the environmental factor to consider as well. Some would say that the conservation of the planet and its resources is savings enough to recoup the additional cost. Still, there’s no harm in pinching a few pennies here and there. So, for the environmental bargain shopper, here are the best hybrid cars that can be had for under $30,000. 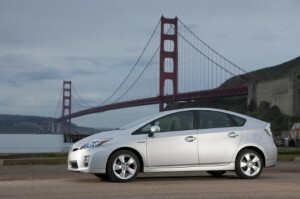 The Prius started it all, and it’s still leading the way in the hybrid industry. Though competitors are definitely improving, and multiplying as well, it’s still hard to top that 51/48mpg (city/highway) fuel efficiency. The interior could still use some upgrades in the materials quality area, but the cargo capacity, large rear seat, and a floating console that helps maximize cabin space are all features many competitors lack. The cabin remains so quiet that there are times when the Prius can fool you into thinking it isn’t running at all. 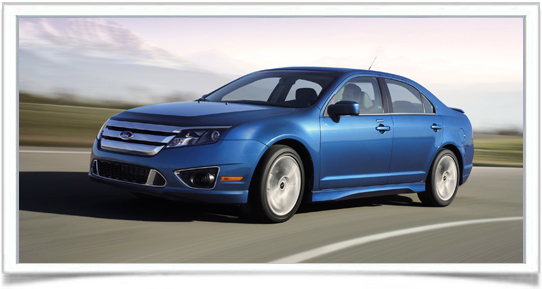 The Fusion Hybrid is new for this model year, and it could start turning some heads for drivers who’ve been looking for a hybrid vehicle is a larger package. It’s powered by a 2.5L four-cylinder gasoline engine paired to an electric motor that combines to churn 191 horses. It can reach 60mph from a stand-still in a reasonable 8.7 seconds, and it manages 41/36mpg at the gas pump. Handling and body control are no different than the standard Fusion, but the hybrid battery pack does decrease cargo capacity from 16.5 cubic-feet to just 11.8 cubes. The Nissan Altima Hybrid is a pleasant surprise in this sector. It possesses spirited acceleration and notably precise steering. 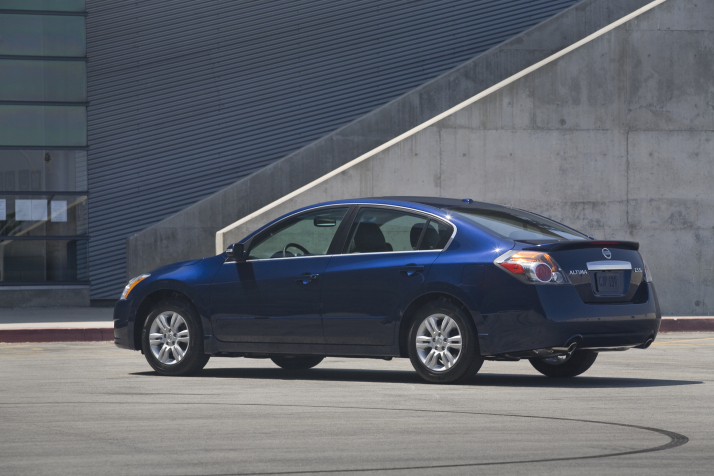 The fuel economy is low for what most people expect from a hybrid, at 35/33mpg, but the Altima’s larger size is the reason. Having the convenience of added passenger and cargo space will cause the electric motor to work harder, decreasing fuel economy. However, the Altima is the best midsize hybrid sedan available, and cheaper than the competitors, the Ford Fusion Hybrid and Toyota Camry Hybrid. The first Honda on the list, the Civic Hybrid provides superb fuel efficiency at 44/44mpg, the most fuel-efficient powertrain in Honda’s line. Though the Accord is the big sister, the Civic is far more fun to drive. The one drawback which keeps it so low on the list is the lack of power. Nobody expects drag strip numbers from a hybrid, but the Prius outdoes this one in a walk. On the flip side, hybrids are bought for economy and conservation and the Civic takes care of both features reasonably well. Toyota has actually dropped the price of the new 2012 Camry Hybrids, which is a sign that the 2011 model wasn’t quite meeting sales expectations. That doesn’t take away from that fact that Toyota is still leading the way in hybrid technology, and the Camry is benefitting from the same expertise that went into the Prius. It exhibits reasonable power and acceleration, but fuel economy is somewhat low for a hybrid at 33/34mpg, even for a midsize. The one knock on the Camry is the relatively numb steering, but the ride remains smooth and noise-free.